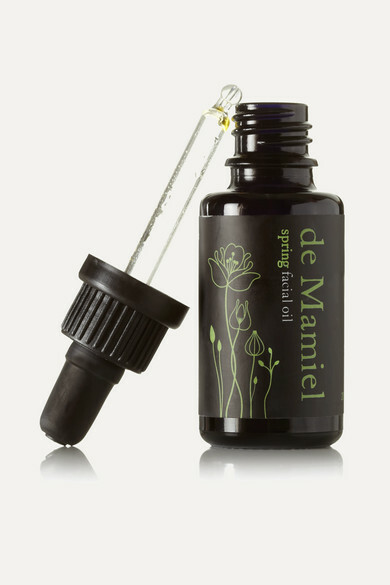 de Mamiel's seasonal oils are blended "to work in synergy with nature" and help remove impurities. 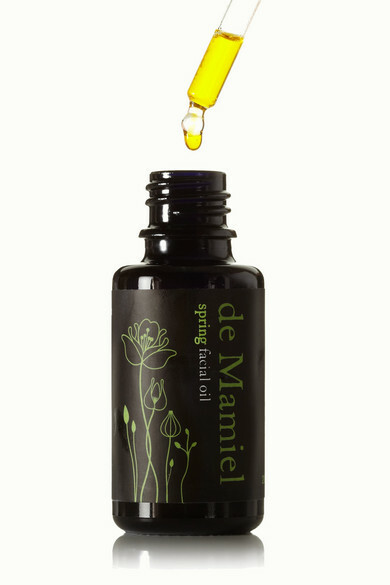 This nourishing 'Spring' facial remedy is formulated with floral essences including Blackberry and Dandelion and helps renew your skin after a long winter. 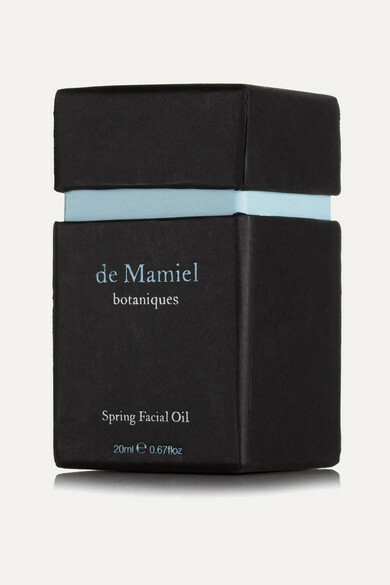 The mix of cleansing Grapefruit, detoxifying Juniper, calming Geranium and healing Calendula will soothe and brighten.